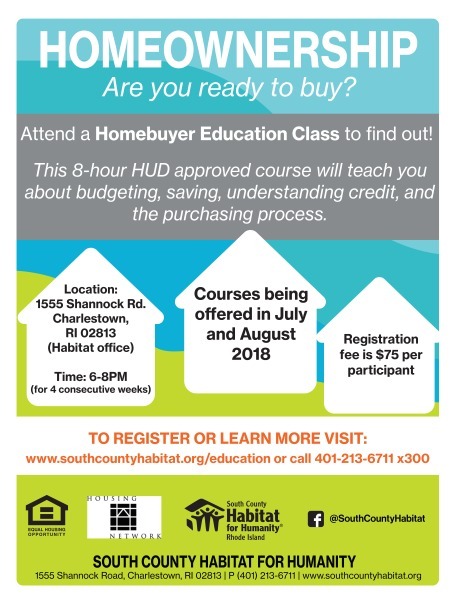 Take a Homebuyer Education course to prepare for homeownership! The Homebuyer Education course is an 8-hour workshop teaching you what it means to own a home, topics covered include: renting vs. owning, budgeting & saving, affordability, understanding credit, and the purchasing process. The course is a HUD approved cirruculum and will be taught at the South County Habitat office by our partners from West Elmwood Housing Development Corporation. Cost of registration is $75 per participant. 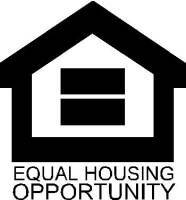 To learn more about Homebuyer Education contact Alicia Johnson, at (401) 213-6711 x300.